Jack Anderson does not have any MLB stats for the season. Draft: 2016, Seattle Mariners, 23rd rd. March 19, 2019 RHP Jack Anderson assigned to Seattle Mariners. 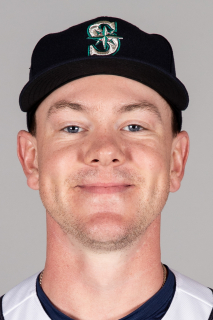 January 24, 2019 Seattle Mariners invited non-roster RHP Jack Anderson to spring training. February 24, 2018 RHP Jack Anderson assigned to Seattle Mariners. July 21, 2017 RHP Jack Anderson assigned to Modesto Nuts from Clinton LumberKings. April 1, 2017 RHP Jack Anderson assigned to Clinton LumberKings. March 26, 2017 RHP Jack Anderson assigned to Seattle Mariners. September 3, 2016 RHP Jack Anderson assigned to Everett AquaSox from AZL Mariners. June 27, 2016 RHP Jack Anderson assigned to AZL Mariners from Everett AquaSox. June 15, 2016 Seattle Mariners signed RHP Jack Anderson. June 15, 2016 RHP Jack Anderson assigned to Everett AquaSox.